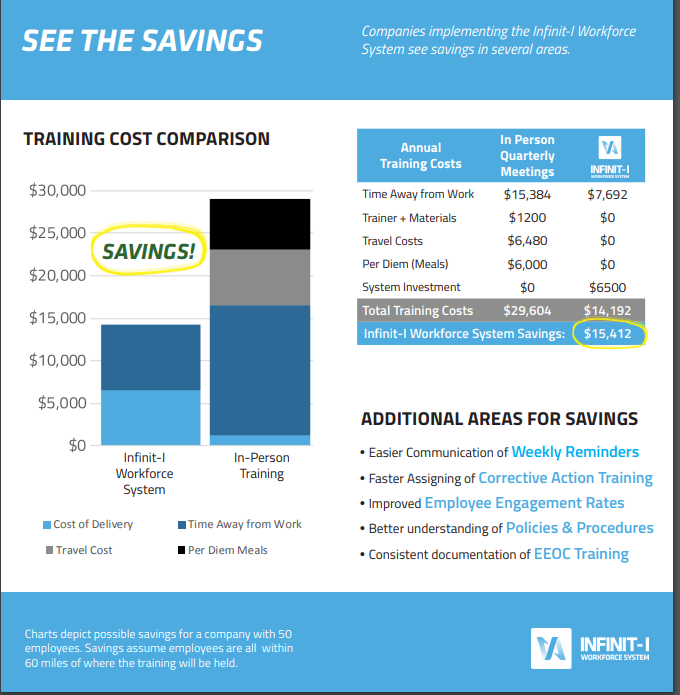 Why Infinit-I Workforce Solutions for your Trucking Company? 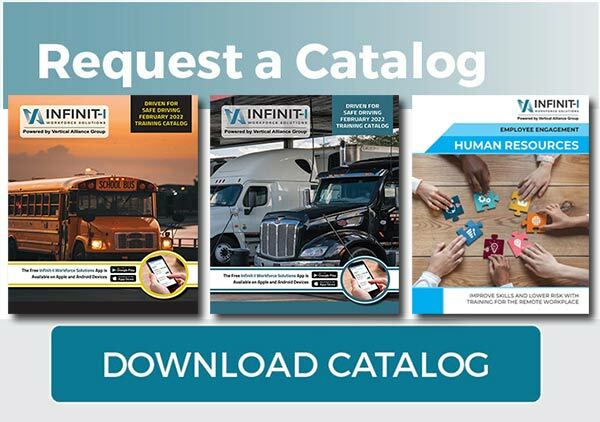 Infinit-I Workforce Solutions is the ultimate training, communication, and record keeping tool for transportation-based companies, private fleets, and schools. We provide trucking safety managers & executives with an online system built for a workforce on the move that can cut training cost by up to 70%. Not to mention the time saved on onboarding, orientation, on-going training, & corrective action training. Train your drivers and track driver safety progress from any device, anytime. With automatic tracking and recording, Infinit-I also creates a paperless, ironclad defense against the risk of litigation and audits. Our team gives each client a customized report, analyzing how Infinit-I can make your business more profitable. 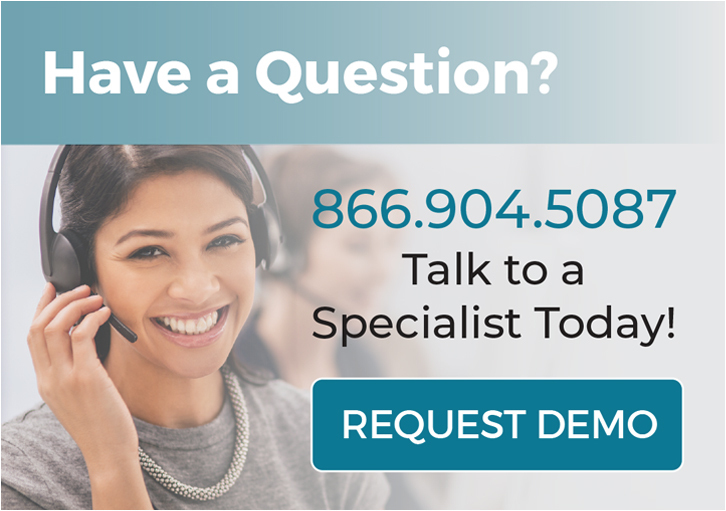 Your Personal CSR is only an email or phone call away. Your CSR manages administrative details for your account, at no additional cost! Average training video length is 3 to 7 minutes and follows microlearning best practices. Infinit-I creates a custom-branded online interface for you, including the ability to upload custom training pieces. Only your logo and company colors appear on your website. Your drivers see high-quality videos because our video servers are nationwide, for faster local loading times. Each month we release new videos on legislative updates or new topics, keeping our training fresh and relevant. Our video library includes content in English, Spanish, and French. With dozens of trucks parked during meetings, in-person transportation training programs are highly expensive, ineffective, time-consuming, difficult to coordinate, and impossible to accurately track. By the time that your drivers walk out of an in-person meeting and get back on the road, they will have forgotten nearly 90% of what was said. Add the stress of potential liability and punitive damages for drivers that didn’t attend the meeting, and you have a recipe for disaster.